We know how important is to make a sample RIGHT from the begining! No second chance, no more questions, no costs even. 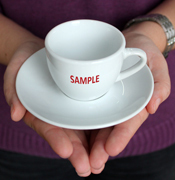 Right Cup is working a good idea into real hard copy sample every time. We have excellent support in production and people are instructed and trained to participate proactively everytime.